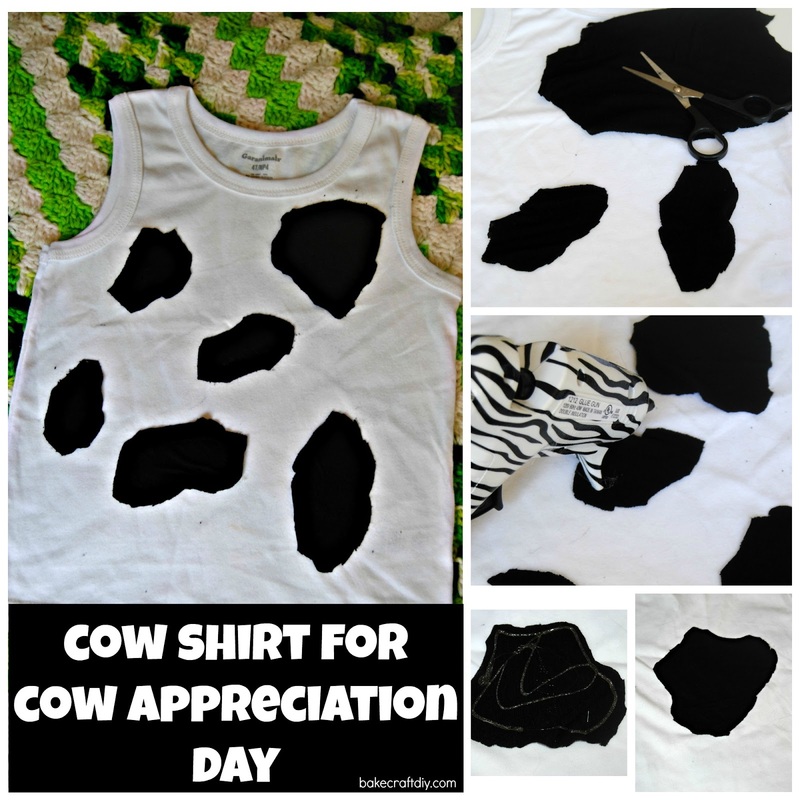 These last minute cow shirts are quick and easy to put together! 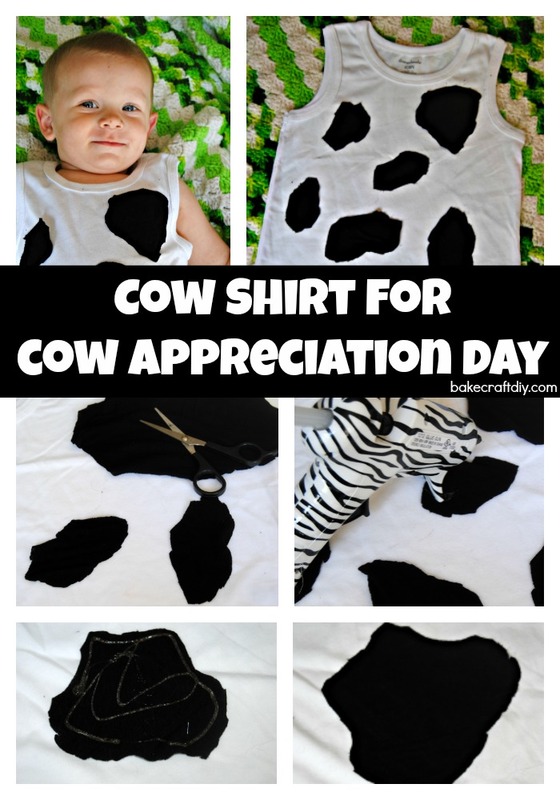 We just made one for this year's Cow Appreciation Day at Chick Fil A! It took me about 10 minutes to make the shirt but that was with all the photos to show you how to make one, too. My husband, eldest son and I all had shirts from last year that still fit but my youngest son needed a new shirt and I procrastinated until today to do it. Cut out the shapes from the black fabric, I used an old shirt that I had managed to stain with nail polish. 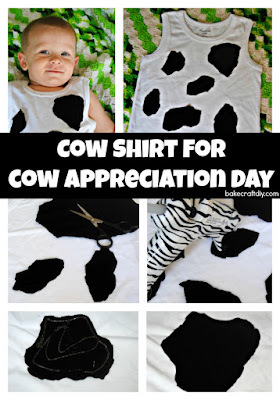 Lay them out where you want them on the shirt, then glue. Try to get the glue close to the edges of the black spots, and if you don't and there are spots that are leaning over because the glue is too far in the middle just go back and add a bit more glue. 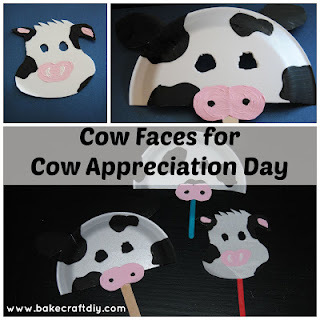 Have fun and Eat Mor Chikin!! Need a mask check out how to make one using a styrofoam or paper plate!